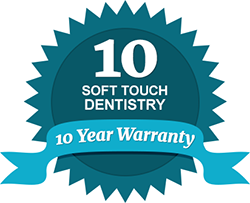 At Soft Touch Dentistry, we consider it a privilege to care for your smile. We proudly accept dental insurance to make it as convenient as possible to receive the family dental care you need. You will find that our friendly staff is experienced and very accommodating when it comes to handling dental insurance, and we are happy to file claims on your behalf. At Soft Touch Dentistry, we make it a priority to help you understand your dental insurance benefits so that you get the most out of your plan coverage. To learn more about our payment options, financing plans or insurance acceptance, please contact us or call our office today. We look forward to making your dental experience a positive one!